This month we would like to congratulate the Clever Clovers 4-H Club for being awarded the Nebraska 4-H Club of the Month for January 2017. This 4-H Club from Osceola, NE in Polk County has truly made a difference in their community. The club is very dedicated to building strong citizenship and teamwork through various community service activities. The Clever Clovers is a very active club in Polk County. The club currently has more than 25 youth ranging from 5-18 years of age as members. Club participants are active in many 4-H project areas from sewing, cooking and gardening, to horse, cattle and swine. 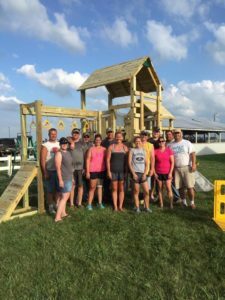 The entire club benefits from these various projects because each member gives a presentation on one of their 4-H projects every year at one of the monthly club meetings. Families and club members are then given the ability to learn about different project areas and share their knowledge with club members interested in their project areas. Clever Clovers is also very strong in community service. Over the years, the club has lead bucket calf clinics for youth interested in bucket calf projects as well as provided flower pots to decorate the Polk County fairgrounds. 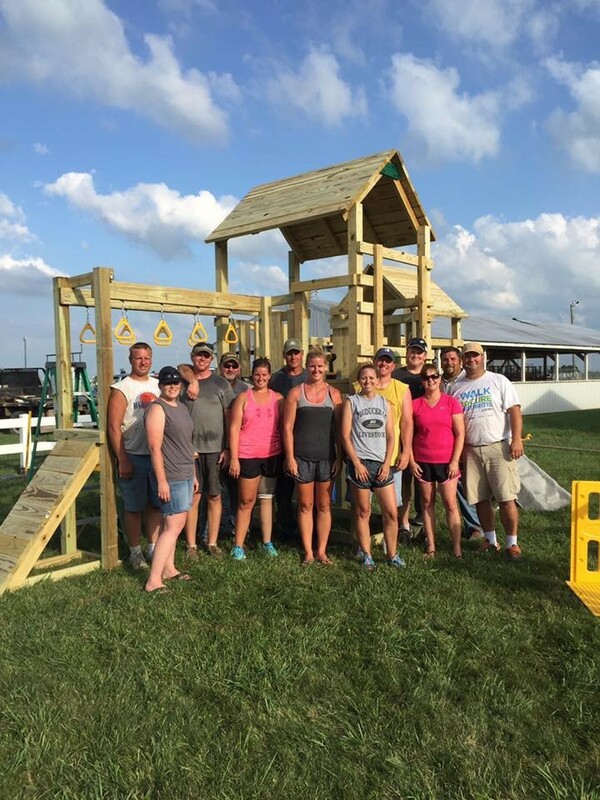 They have painted bathrooms, participated in clean-up nights and generated funds to purchase and build a new swing set for the Polk County Fairgrounds. The cost of the swing set was about $2,000. The club takes an annual field trip to a place of interest to the 4-H club members, with the latest to a large dairy farm located in their county. The Polk County Clever Clovers has a rich history in Polk County. The club was in existence over 30 years ago before taking a break due to not having a leader. Adam, a former Clever Clovers member, and his wife Abbie have brought the club back to the Polk County 4-H program as one of its strongest clubs! No Comments to "January 2017 Club of the Month"